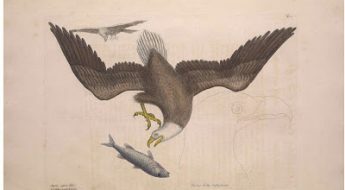 This week we feature one of our users that has taken a particular interest in BHL for the purpose of images, using BHL to strengthen the collection of scientific illustrations found on his website, http://sites.google.com/site/mmslouis/. As our users have long shown a specific interest in the images associated with BHL content, we expect that this post, and the work of our featured user, Mathew Louis, will prove to be particularly interesting to our user community. Q: What is your title, institutional affiliation (or alternative place of employment), and area of interest? A: Mine is a recreational interest in natural history studies and collection of image files from illustrations in natural history publications. 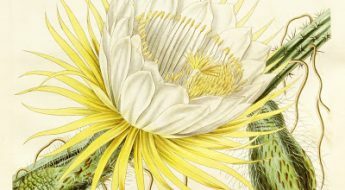 I have a website which was originally begun as a collection of images by the illustrator John Gerrard Keulemans but has now expanded to include many other artists and natural history subjects: http://sites.google.com/site/mmslouis. 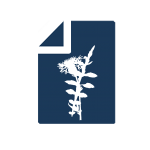 I also use the service (BHL) to review taxonomic information, such as the original citation or description of a name. For example, I have recently examined a synopsis of names relating to a genus of bats, Pteropus. BHL is useful in allowing me to trace resources which contain descriptions of more obscure names – information I could not have found elsewhere. A: The website was started in 2007, but I have always been an enthusiast of the subject in general. A: About two-four years ago. A: I could not have a better opinion of it and how it has been helpful. It is interesting to ask, because at the research library which I frequent, the staff made the decision, three years ago, to deselect and destroy all printed serial publications which were already available on the library catalogue’s database (and therefore unnecessary). The library’s database had a number of deficiencies: the quality of the images of illustrations, lack of indices/table of contents and other matter, incompleteness, and the database was inaccessible to me outside of the library. I was in the process of having scans made from one series in particular, and would have otherwise been out of luck if it were not for the same series being made available with this website, compared to a decade ago. A: I visit the library at the rate of once a week, and use BHL when I am using the computer. Thus, when I visit, I use it extensively. A: I typically use BHL through Internet Archive. 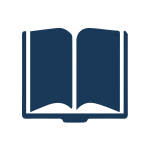 I use the online page view, which is excellent in how it allows for high resolution page view; this is an area where the Google Books service is deficient. I also download and save PDF files of texts. A: The best aspects of the services are as follows: The ability to make requests to have scans of texts made; the efficiency of BHL when reporting problems or making queries; the high-resolution quality of the images of the pages. A: It would be helpful to receive email notification when a scan request has been carried through and the item becomes available online. There are also some issues which might not actually apply to BHL, but rather to Internet Archive, which also provides texts from BHL. First, some of the texts are difficult to locate in a series. One example is Proceedings of the Zoological Society of London, where not all of the years (this series was not issued in numerated volumes) are clearly discernible on the list. Second, the format on Internet Archive for viewing texts was changed in the later part of 2010, and I think it would have been better to restore the previous format – it wasn’t broken. It would also be convenient if the scanned images of illustrations incorporated the entire plate, rather than in a number of cases where some have cropping. A: I greatly appreciate the availability of The Ibis being made online. 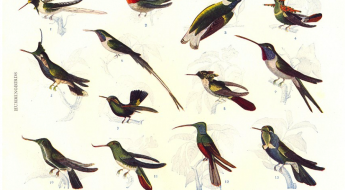 Thank you, Mathew, for taking the time to share your experiences regarding BHL with us, and for sharing your website, which provides an invaluable presentation of many beautiful illustrations that might otherwise be difficult to locate. In regards to your specific comment about providing email notification when scanning requests are completed, we hope to one day be able to provide this service. 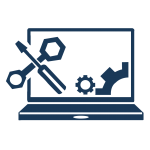 However, currently our resource limitations prevent the adoption of such a system. 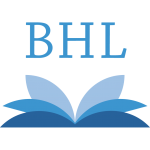 It may be helpful to subscribe to our rss feed of recent additions, which provides a list of all new inclusions to the BHL collection and is one method in which users can be provided with a notification of the completion of their scanning requests. Visit Mathew Louis’ website here: http://sites.google.com/site/mmslouis.